Clearwater Beach. Deep Water Boat Slip. Easy Gulf Access. No HOA fee. This very unique townhome has been owned by one family since it was built in 1974. Fee simple ownership and zero lot line make this a single family home, therefore, no HOA or condo fees apply. The spacious 1566 sq. ft. open floorplan offers a woodburning fireplace in the living room, a master retreat with abundant closet space, and an ensuite bath all overlooking the Intracoastal Waterway. The property also includes a deeded deep-water boat slip with direct access to the Gulf of Mexico. Wake up every morning with dolphins playing in your backyard or board your boat and escape to the Gulf in minutes. At the entry of the home is a patio courtyard with access to the oversized one car garage with laundry area. Out back, a second patio area offers space to relax and enjoy the Clearwater Beach sunshine while overlooking the Intracoastal Waterway. 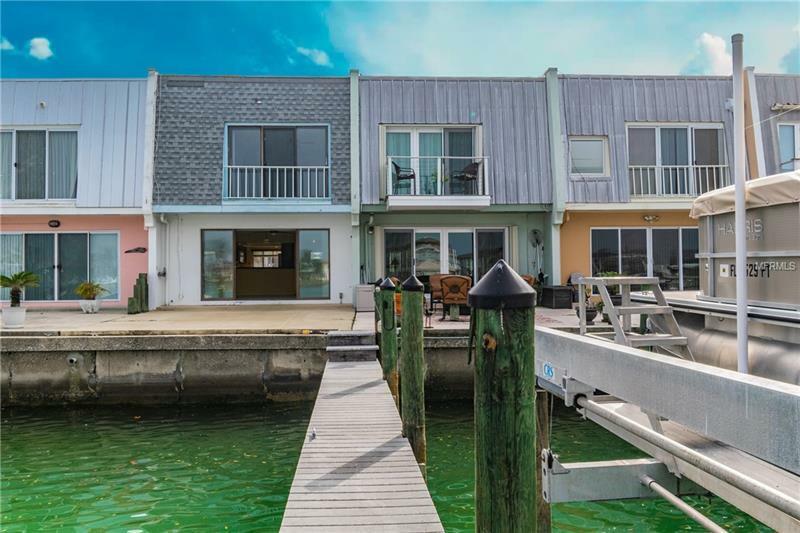 This home is a boaters and beach loverâs dream with easy and direct access to the Sand Key Bridge to avoid the Clearwater Beach congested traffic areas.